Kigali, Rwanda – In this old building in the colourful Nyarugenge district, one of the oldest areas in Rwanda’s capital, Kigali, women sit at wooden tables, dutifully tending to a collection of colourful textiles. Ripples of occasional laughter rupture the looping drone of a dozen sewing machines as the women cut, sew and stitch anything from stylish dresses and bags to fashionable accessories. Here, at the Nyamirambo Women’s Centre (NWC), a non-government organisation, some 55 women are at the forefront of a major effort to advance social and economic equality for Rwandan women. What started as a project in 2009 by 18 women to address gender inequality, gender-based violence and discrimination has become something of a symbol of Rwanda’s shifting fortunes since the 1994 genocide, when more than 800,000 people – mostly minority Tutsi – were killed over the course of 100 days of mayhem by Rwanda’s Hutu majority. 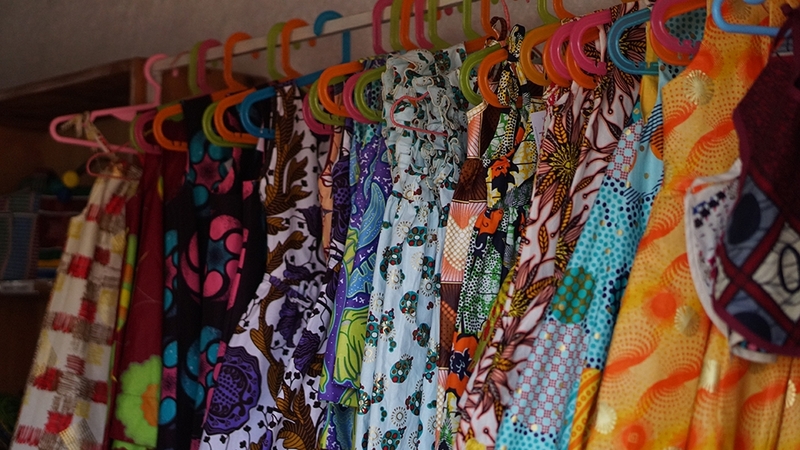 Not only does the centre, made up of three workspaces and a library, offer computer training and free English-language classes for women, it also provides space for the manufacturing of arts, crafts, items of clothes and other fashion items that are then sold at their store in Nyamirambo. “In 2013, I was struggling with my clothing business and unpaid loans,” says 50-year-old Murekatete Hashura, one of the seamstresses working at the centre, as she cuts through a strip of bright-red bazin cloth. According to Marie Aimee Umugeni, cofounder and president of the NWC, 55 women currently work at the cooperative, with 39 of them engaged in stitching their “Umutima” brand and the rest making up the sales and logistical team. “We provide the space, the machines and the material – and the product is made by the women. We sell the product and they are paid for their labour,” Umugeni says. Hashura, the seamstress, says the centre has not only given her a newfound financial independence and improved her self-esteem, but also acted as a second home. Eugenie Mukamunguga, one of the earliest members, agrees. “I feel part of the community here,” she says, smiling. Mukamunguga originally joined the group to take a course in English. She completed her course and stayed. That was nine years ago. “In the beginning it was tough … we were relying on donations. There were no activities in which we could earn money for our families,” adds Mukamunguga, 40. Umugeni, meanwhile, says that the organisation really took off when they received help from a volunteer from Switzerland five years ago. “She emphasised the sewing element, organised our systems and helped turn us into an income-generating enterprise,” Umugeni says. For some, the transformation into an income-generating enterprise has meant the difference between making the rent or defaulting once more. For others, like Hashura, it has ensured her son stays at school. And for Mukamunguga, whose husband is unemployed, the 60,000 Rwandan francs ($68) she earns each month has meant being able to walk. But, she adds, there’s more. “My son loves to watch football, so I bought us a television, too,” she beams. But it is the organisation’s centrality in the lives of the women here, as a safe-space and a place of solace and personal enrichment that its members seem to revere most. 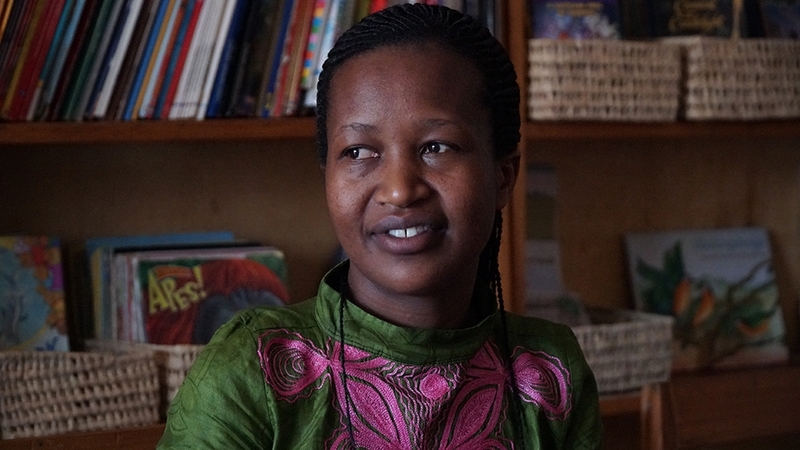 “One key contribution of such women’s activities across the country is building a circle of sisterhood where women feel supported by fellow women,” says Josephine Nkurunziza, a Kigali-based gender analyst and feminist economist. “They stop feeling left out with life’s challenges, they come together, learn a skill and start earning to support themselves and their families,” she adds. While the genocide destroyed much of the country, leaving in its wake devastated families and immeasurable trauma, it also reconfigured the social fabric of the society. Women in post-genocide Rwanda made up an estimated 60 percent to 70 percent of the surviving population. Experts argue that this necessitated a deliberate and constitutionally backed policy of empowering women. With women now holding a world-leading 64 percent of seats in the lower house of Rwanda’s national legislature, the country is often held up as the poster-child of gender equality. Rwanda reports having one of the highest rates of female labour force participation in the world. Girls are enrolled in primary and secondary education (as often as boys are) and maternal and infant mortality has dropped. President Paul Kagame has repeatedly made it a point to champion the cause of gender equality. 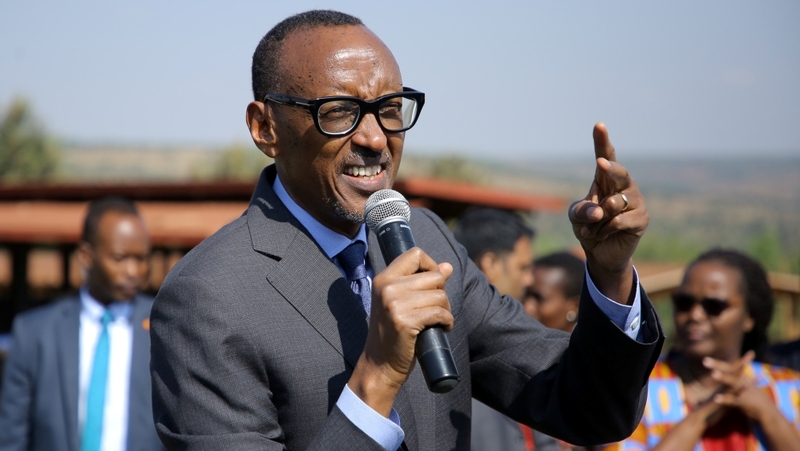 “We cannot claim to be on a sustainable path to transform Rwanda if we exclude women who are more than half of the population,” Kagame has previously said. But not all Rwandans are convinced by the government’s narrative on women’s empowerment or development; dissidents and critics of Kagame say the country is a police state. According to one of them, Claude Gatebuke, the executive director of the African Great Lakes Action Network, many of the gains – persuasive as they may seem – are part of a facade and antithetical to the touted empowerment of the country’s citizens. Rwandan society, on the whole, is fundamentally unfree, Gatebuke argues, calling the number of women in parliament a “smokescreen to help the government of Rwanda and President Kagame, in particular, with donors and international PR, while carrying out repression within the country”. Gatebuke, who is based in the United States, says that when it comes to economic development, young women, including single mothers who try to sell wares on the streets of Kigali are arrested and harassed daily by police officers. Kagame has often responded to criticism by saying it comes from outsiders and not from Rwandans themselves. In a 2011 interview with Council of Foreign Relations, he seemed to deflect criticism by saying that Rwanda was dealing with a cauldron of challenges, and that everything couldn’t be fixed overnight. When it comes to politics, critics say Kagame’s government has ensured that no worthy opposition counters his rule. Only the Green Party is allowed to operate as a critical opposition party in the country and in 2017, just two men were permitted to run against Kagame. When it comes to the media, the Rwandan authorities haven’t shied away from arresting female journalists either. Agnes Nkusi Uwimana was found guilty of publishing material with the aim of inciting public disorder, while Saidath Mukakibibi was found guilty of being her accomplice. Both spent years in prison. Gatebuke says the fact that a special centre exists for the betterment of women in Rwanda illustrates that women have not been as empowered as advertised. “Women need help making ends meet. They need help economically and when it comes to education,” adds Gatebuke. Rwanda is an overwhelmingly rural country, with a majority of the population engaged in agricultural activities. These involve low-paying agricultural jobs on small land holdings. Though the country’s economy has remained among the strongest in the region for the past decade, most Rwandans still earn less than $1.25 a day. Nkurunziza, the economist, says that though it is “generally true that Rwanda has achieved tremendous improvement when it comes to women empowerment and gender equality”, there remain differences between women’s rural and urban experience. For all intents and purposes, Rwanda is still a patriarchal society, with high levels of domestic violence that often goes unreported. Deeply ingrained societal expectations mean that women’s empowerment often ends at the front door to the home. Umugeni, the NWC’s president, maintains that every bit of supplementary income has the potential to raise families out of extreme poverty. She acknowledges, however, that the organisation’s dependence on foreigners is not sustainable – expats and tourists still make up their biggest clients. “We would be happy if locals would buy from us. [But] the price is still [too] high for them,” Umugeni says. “It is a process,” she adds. But Gatebuke, the dissident of the Kagame’s government, goes a step further. He says “gap-filling” ventures like these would not have to exist if Rwandan women were given “the independence to trade, work and take care of their families”. “Women could advance even more on their own,” he adds.